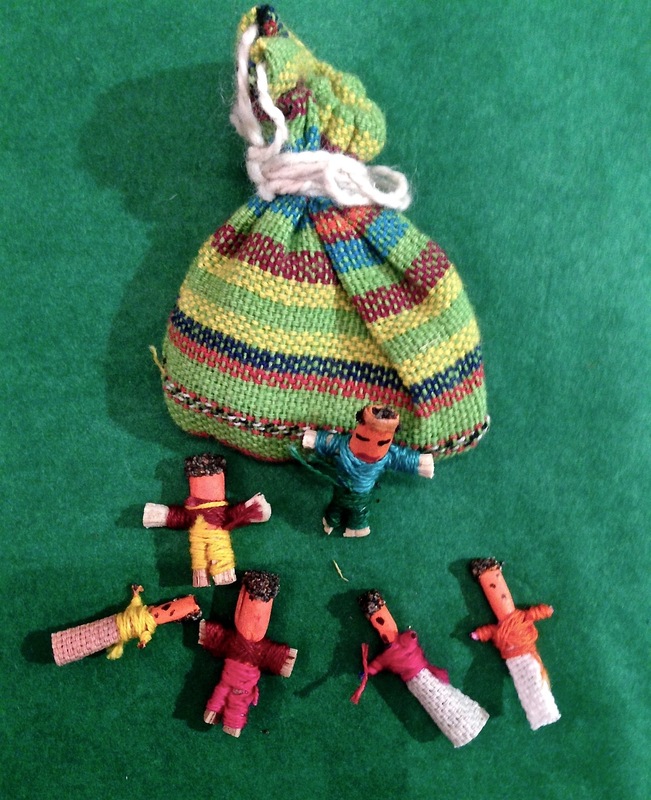 One of most popular items sold in Caoba isn’t Mexican at all: Our fair trade Guatemalan worry dolls (muñecas quitapenas) are tiny little human figures, made from bits of wood and scraps of wool and fabrics fashioned into a traditional style costume. There are six dolls in each pouch or box, together with a slip of paper explaining their story. 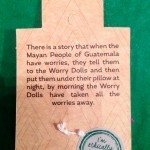 Mayan tradition has it that by telling the dolls your worries, then placing them under your pillow at night they will take on the worry on your behalf. Thus leaving you with a restful sleep and a carefree feeling the next day. 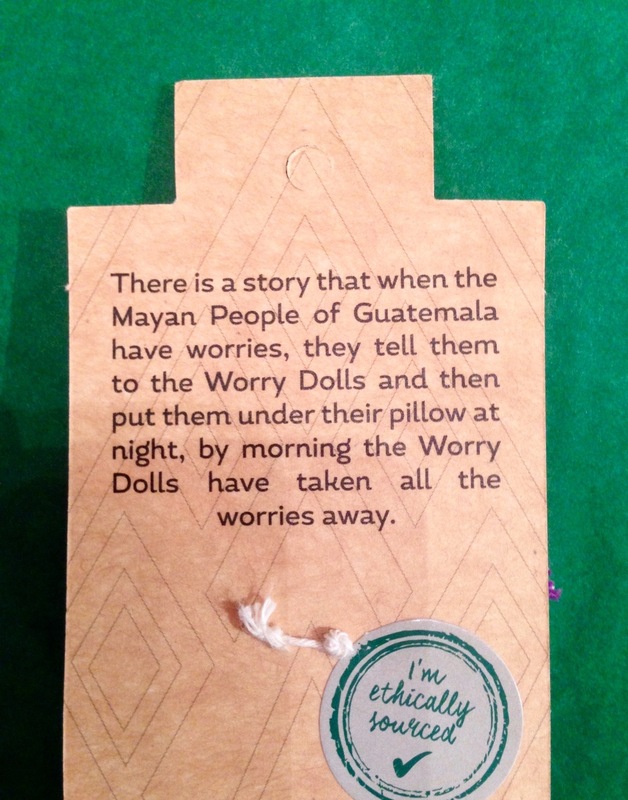 We only have anecdotal evidence that the dolls work, but they do make an inexpensive and thoughtful gift, especially for anyone prone to anxiety! We have a good range of Guatemalan textiles and accessories in our shop in Stockbridge, Edinburgh, adding even more bright and beautiful colour to our Mexican style. This entry was posted in Useful Info on July 3, 2015 by admin.